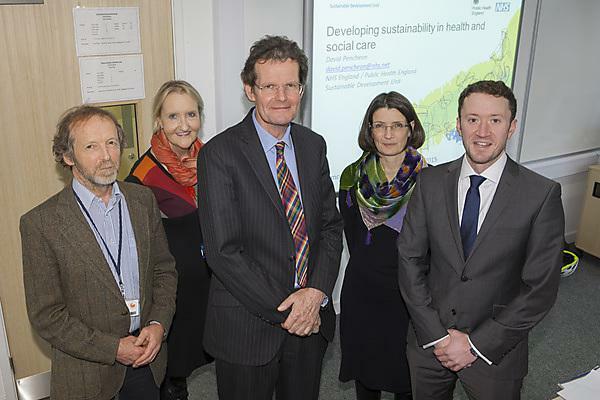 Dr David Pencheon OBE visited Plymouth University on 24 November to discuss potential collaborations with the NHS Sustainable Development Unit. David is the Director of the NHS Sustainable Development Unit. He was previously Director of the NHS Eastern Region Public Health Observatory from 2001 to 2007, serving the East of England. He has worked as joint Director of Public Health, a Public Health Training Programme Director in the East of England and with the NHS R&D programme. David has also worked in China in the early 1990s with Save the Children Fund (UK). Prior to that he was clinician in secondary care. 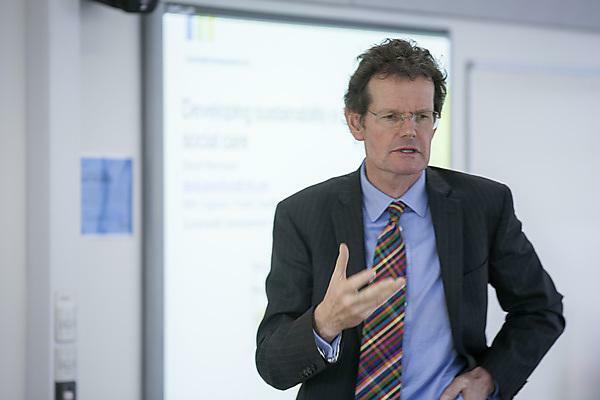 The event was hosted by the Sustainability, Society and Health Research Group and the Sustainable Earth Institute, and involved a number of presentations from University researchers about their work on health and social care. Presentations were from a range of backgrounds including food, clinical waste, app development and virtual reality. The Sustainable Development Unit (SDU) helps organisations across health and care embed and promote sustainable development in order to reduce emissions, save money and improve the health of people and communities. At an environmental level this includes addressing issues such as energy, travel, waste, procurement, water, infrastructure adaptation and buildings.